In 2016, UK consumers spent £1.7 billion on garden care*, highlighting the importance of outdoor maintenance throughout Britain. Autumn is upon us and it’s time to prepare your garden for this season and next. As the temperature drops and the light fades, your outdoor space and the wildlife that inhabit it, need some extra TLC. Whilst the lawnmower can be stored away until the Spring, other items can emerge from their summer holiday. Now is the perfect time of year to start on the jobs that ensure a tidy and well-maintained outdoor space and a perfect habitat for wild birds and woodland creatures. In 2016, UK consumers spent £1.7 billion on garden care*, highlighting the importance of outdoor maintenance throughout Britain. To help you find the best products, the high street garden care specialist, Robert Dyas has rounded up a selection of tools, storage solutions and ornaments to provide a stable environment for your flora and fauna throughout the winter months. Nothing says Autumn quite like kicking through rusty, fallen leaves but whilst they might look pretty, they are not friends for your lawn and borders. Organic matter left undealt with can become a moisture and fungus trap and block out natural daylight which may damage or kill grass and plants. To avoid unsightly bald patches and damaged areas of your garden, try using the Draper 3000W 3 in 1 Garden Vacuum, Leaf Blower and Shredder Mulcher (Was £52.99 now £34.99). This eliminates mess and debris from your garden and saves you time by not having to use a rake. With a powerful 3000W motor and large 35L collection bag, your lawn will be looking pristine quickly and effectively. 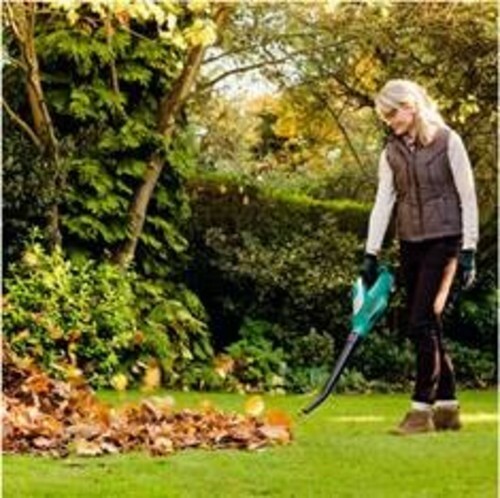 For those of you who have mountains of leaves to deal with, the Flymo PowerVac 3000 Leaf Blower, Vacuum & Mulcher (Was £74.99 now £49.99) boasts an even larger 45L bag – perfect for bigger gardens or larger volumes of leaf litter. If you prefer a more traditional and simple approach to the autumnal tidy-up, then the Telescopic Lawn Rake (Was £14.99 now 9.99) will ensure a pristine lawn whilst helping you burn some calories. Add the Draper 160L Garden Pop Up Tidy Bag – Green (Was £14.99 now £9.99) which has a whopping 16OL capacity and you’ve got the perfect combination for an immaculate autumn garden. It’s not just the green spaces which matter during the changing seasons. Wild animals and birds are vulnerable at this time of year. When the temperatures plummet and natural food sources become meagre, it’s our responsibility to help where we can and provide a thriving environment for wildlife. Inject some colour into your autumnal hues and help both wild birds and our war heroes with this Gardman Poppy Birdbath (Was £23.99 now £15.99) and Gardman Poppy Birdhouse (Was £25.99 now £16.99). Next month marks the centenary of the First World War. Says Richard Redman, Senior Trader at Robert Dyas and outdoor specialist, “You can support the Royal British Legion while adding a touch of colour to your garden with the poppy bird bath and poppy bird box from Gardman. Every time one of these bird boxes and bird baths is sold, £1 is donated to the Royal British Legion on your behalf.” Not only will you be providing shelter and both a source of water and bathing to British garden birds, you will be supporting this incredible charity that provides financial, social and emotional support to members and veterans of the British Armed Forces. Providing birds with some extra food can make a huge difference to their numbers and this My Botanical Garden China Teapot Bird Feeder (Was £14.99 now £9.99) is a delightful way in which to do so. The My Botanical Garden range is exclusive to Robert Dyas and adds some charm to your garden whilst helping feathered-friends. Whether you are lucky enough to find the elusive hedgehog within your outside space or not, you could add one of her friends to your garden as a sweet decoration. The My Botanical Garden Hedgehog Ornament (Was £19.99 now £12.99) adds an understated pop of colour and who knows, perhaps he’ll encourage Mrs Tiggywinkle to visit! As cooler temperatures approach, it’s crucial to ensure your equipment can hibernate as needed to protect them from the outside elements. The Rowlinson Mini Store (Was £149.99 now £109.99) provides a traditional design without compromising on effectiveness. With its weatherproof mineral felt roof and solid timber cladding, it’s perfect for storing all your garden tools and pots in when the winter bites. For those of you who require a larger space, the Shire Durham 6ft x 8ft Wooden Apex Garden Shed (Was £389.99 now £349.99) gives you plenty of room for garden equipment and accessories. Made from top-quality timber and pre-treated with a preservative basecoat, it’s ready to be stained or painted in the colour of your choice, allowing you to create an individual feature within your garden. Before daylight saving time ends on October 28, ensure your outside lighting is up to scratch and that your home and garden is secure. The wall-mounted PIR LED Floodlight (£19.99-£14.99) has an infrared motion sensor illuminates when motion is detected. It’s a welcome light for you and family, yet also alerts to unexpected outside movement. Autumn doesn’t mean the end of garden enjoyment. To add both decoration and light to your outdoor space, these Duracell LV001 Low Voltage LED Pathway Lights - 2 Pack (£44.99) can withstand both rain and shine, making them the ideal choice for the changeable months ahead. With an attractive antique bronze finish and low-voltage LED bulbs you’ll not only add to your garden scheme but also save on electricity bills. Prices are correct to the time the press release was issued. Offers valid from October 11 until November 14 2018. This press release was distributed by ResponseSource Press Release Wire on behalf of Robert Dyas in the following categories: Men's Interest, Leisure & Hobbies, Home & Garden, Women's Interest & Beauty, Environment & Nature, for more information visit https://pressreleasewire.responsesource.com/about.